Don't see your question listed here? Please use the contact form and I'll be happy to help you with any questions or concerns you might have regarding the MAX WORKOUTS fitness program. Am I too out of shape to do MAX Workouts? Can I combine MAX Workouts with sport-specific training (e.g. triathlon, marathon, rugby, etc...)? I've been working out for years and consider myself advanced, will MAX Workouts be too basic for me? Can kids and teens do MAX Workouts? Should I take supplements while I'm on the program? How long will the workouts take me? Is MAX Workouts for men or women? What equipment do I need to do MAX Workouts? Is the price quoted in U.S. dollars? What payments types do you accept? Do you accept orders outside of the US? Is it safe to place my order online? 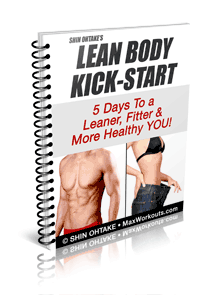 What is an eBook and why is MAX Workouts only available in this format? Am I too old to do MAX Workouts? Can I do MAX Workouts if I have a disability? Can I do MAX Workouts if I have an elbow injury like tennis elbow or golfer's elbow? Can I do MAX Workouts if I have a bad back? Can I do MAX Workouts if I have knee problems? I have health issues and am not sure if I can do MAX Workouts. What do you suggest? Can I do MAX Workouts if I am obese? Can I do MAX Workouts while I'm pregnant?